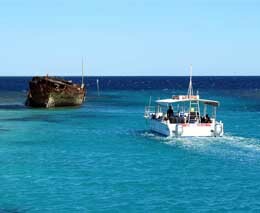 This dive started at Blue Pools, and passed Hole in the Wall and almost ended up in Coral Gardens. The most notable aspect of this dive for me was the variety of fish life and there’s nothing like a trumpetfish to start the dive. 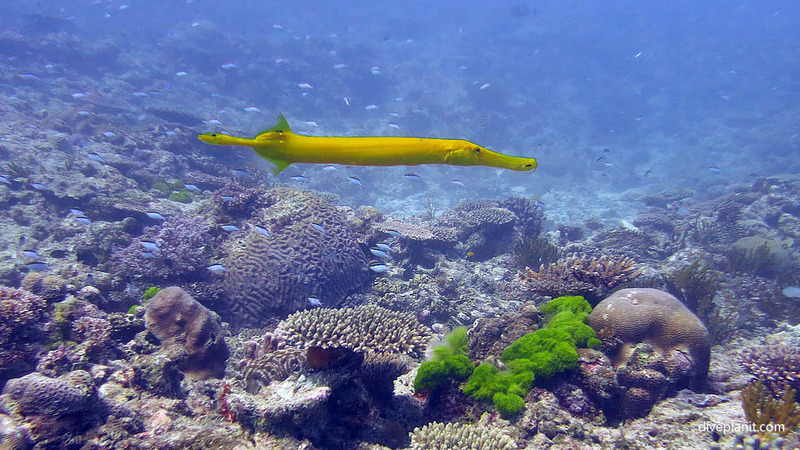 No seriously – there is nothing like a trumpetfish – there is only the one genus in the family. 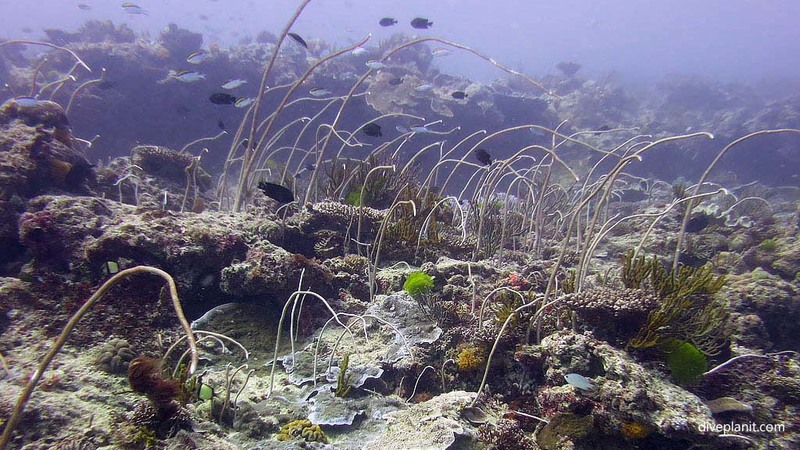 Next a forest of whip corals, often a sign that current is flowing and where there’s current there’s typically nice clear water. 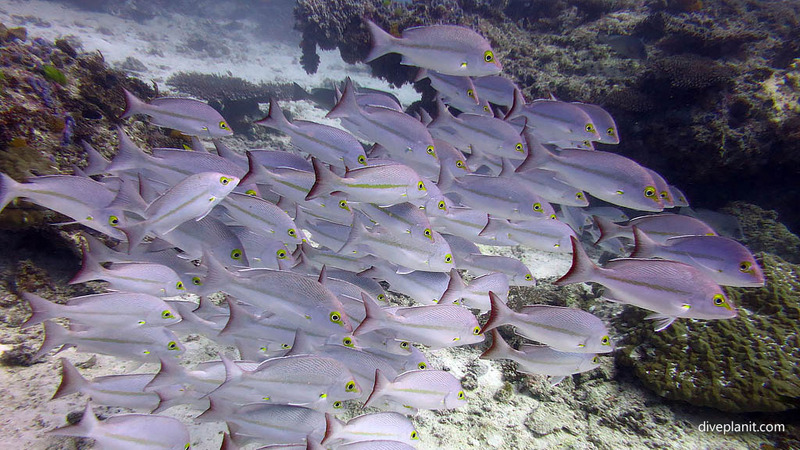 A shoal of snapper hanging in the clear water between the reef and the sandy flat a bit further out. 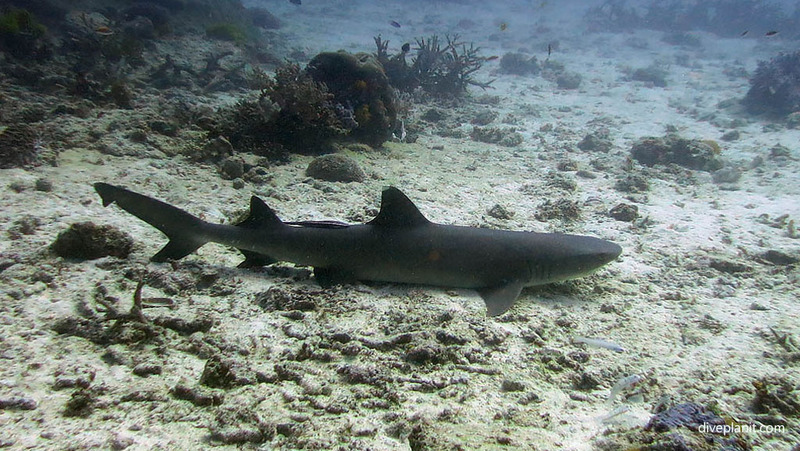 Away from the white reef shark whose resting on that sandy flat. 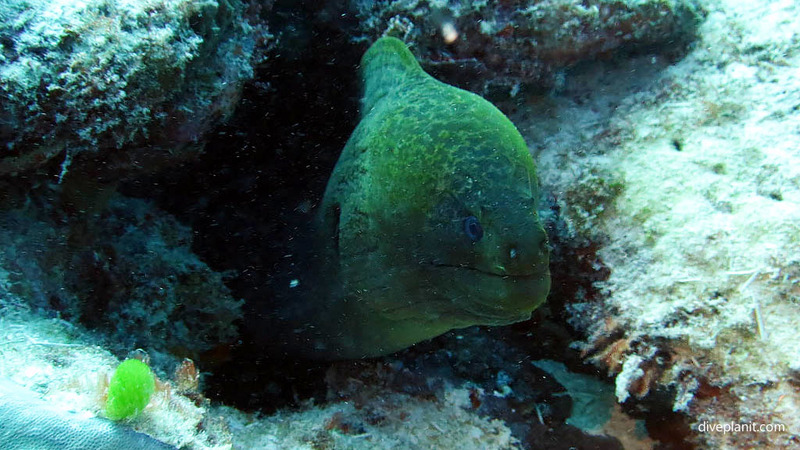 A giant moray hiding in the little holes in the rocks at Blue Pools. 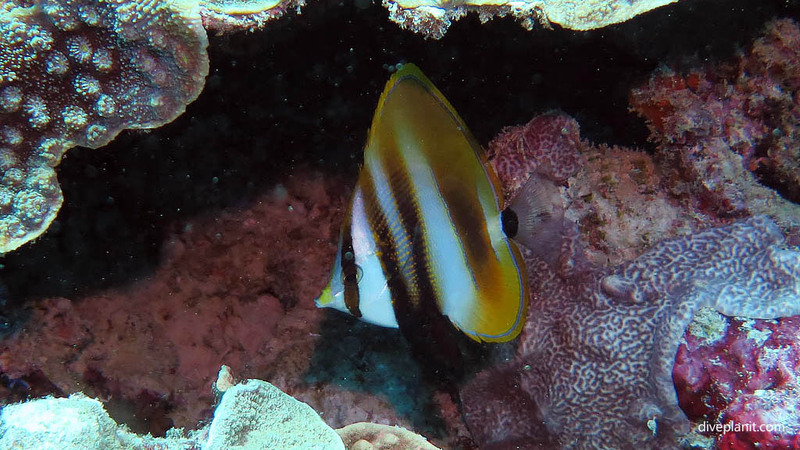 And the weird combination of the beaked coralfish and a thicklip wrasse. No sure what was going on there. 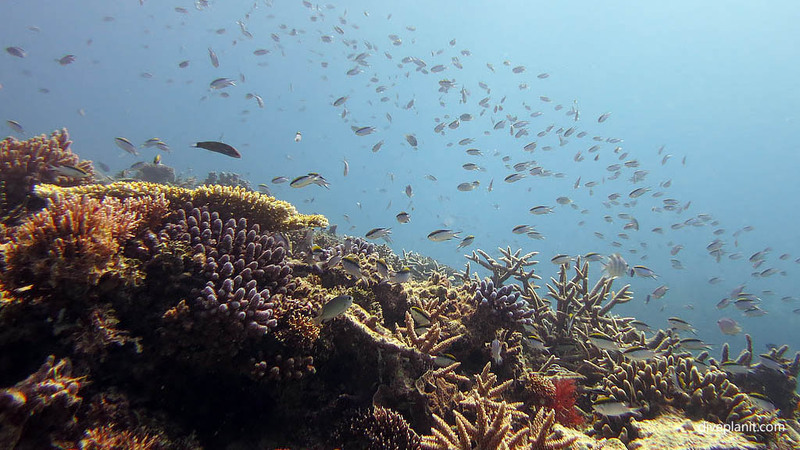 A redthroat emperor cruises by – just look at the quality and diversity of the corals in the landscape. 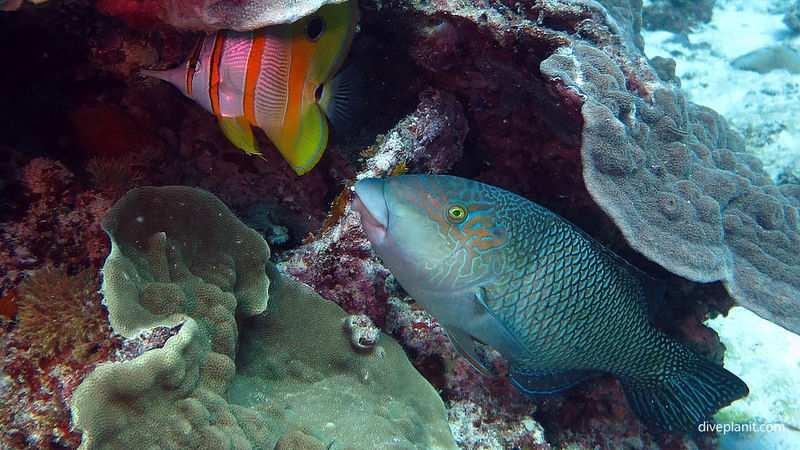 A highfin coralfishhides under some plate coral. 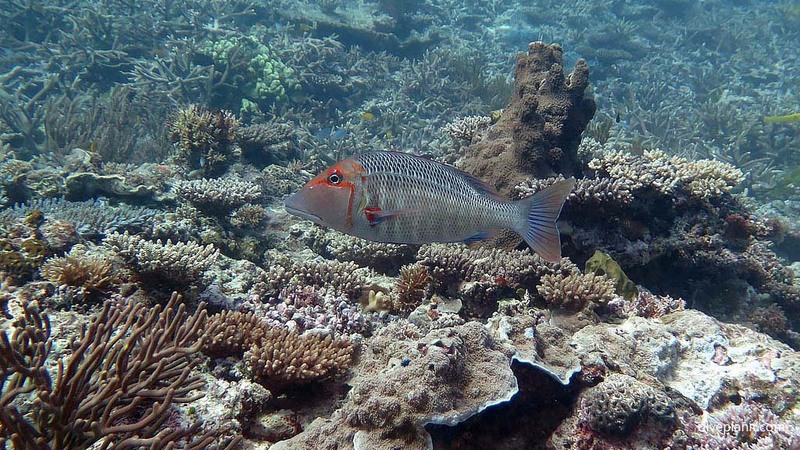 A yellow, often called emperor soapfish hides under a coral ledge too. 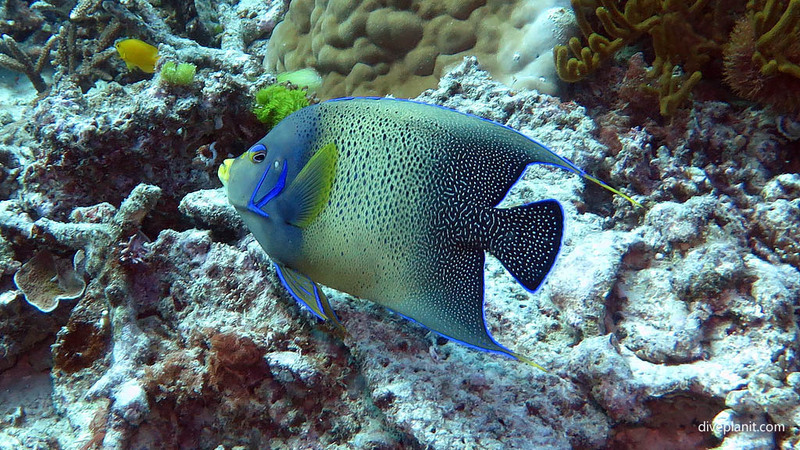 The blue angelfish keeps his eye on me as he verses off making sure I’m not in pursuit. 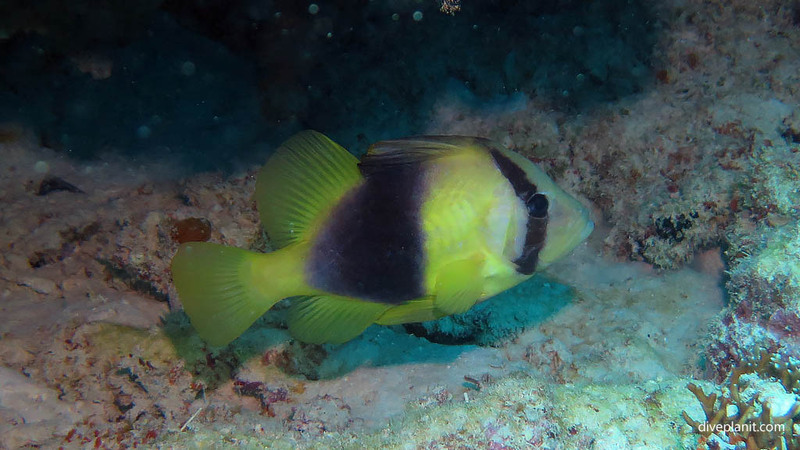 Flitting around in a gap near Hole in the Wall this decidedly purple (male) Orange Basslet held still just long enough. Nudi’s on the other hand don’t present the same photograph challenge, my main challenge is spotting them in the first place. 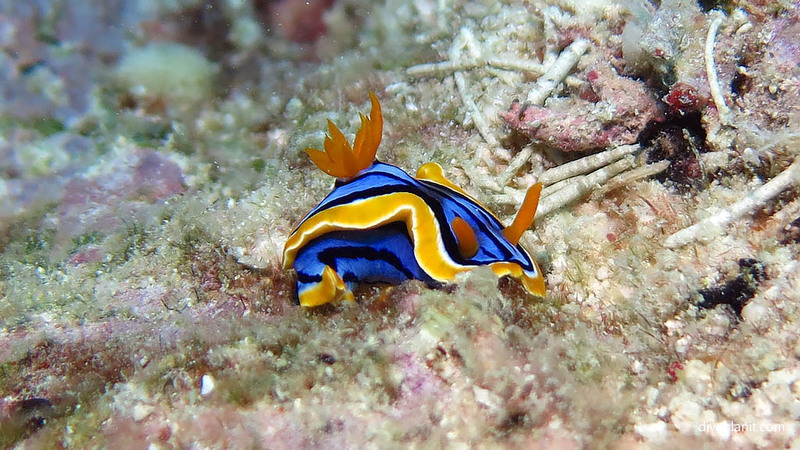 (Next one is usually id’ing them – but this Elizabeth’s Chromodoris is easy). 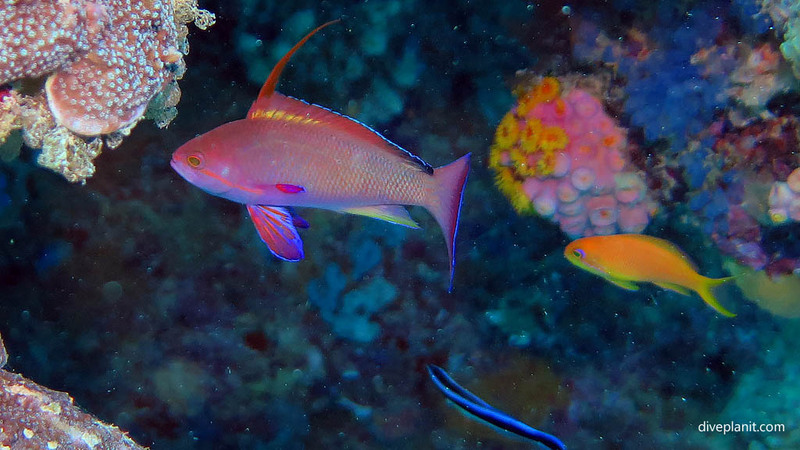 Sometimes the safety stop on the reef can be the best time: the light is good and the colours of the reef are vivid but natural, and the first life though the smallest often in significant numbers.